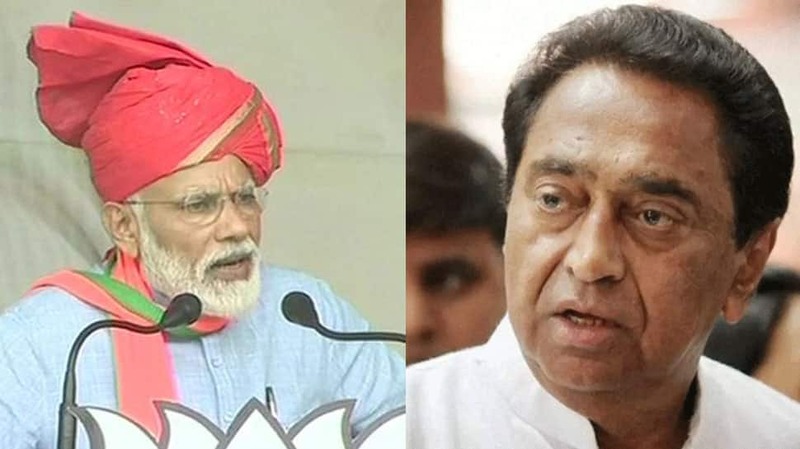 Madhya Pradesh Chief Minister Kamal Nath on Wednesday targetted Prime Minister Narendra Modi after he expressed his anguish only for the lives lost in Gujarat, despite deaths in other states, due to rains and thunderstorms. “PM Narendra Modi approved an ex- gratia of Rs 2 lakh each from the Prime Minister’s National Relief Fund for the next of kin of those who have lost their lives due to unseasonal rain and storms in various parts of Gujarat. The Prime Minister has also approved Rs. 50,000 each for those injured due to unseasonal rain and storms in parts of Gujarat,” tweeted the PMO. At least 34 people were killed when rain, thunderstorm and strong winds lashed four states–Madhya Pradesh, Rajasthan, Gujarat, and Maharashtra. After PM Modi took to Twitter to express despair at the loss of lives and announce compensation for the victims of Gujarat, CM Nath trained his guns at the PM asking if he is the prime minister of the country or of Gujarat. He asserted that more than 10 lives were lost in MP due to the torrential rains and posed a question on why the PM’s sympathies are only for the people of Gujarat. In a jibe, CM Nath added that though the MP government maynot be BJP-led but people still reside there, hinting that PM Modi should be concerned for them as well. “Modi ji, aap desh k PM naki Gujarat ke. MP mein bhi bemausam baarish wah toofan ke karan aakashiya bijli girne se 10 se adhik logo ki maut huyi hai. Lekin aapki samvednaaye sirf Gujarat tak seemeet? Bhale yaha aapki paryt ki sarkar nahi hai lekin log yaha bhi baste hai. (Modi ji you’re the PM of India and not Gujarat. More than 10 people died in MP due to the rains. But your symapthies are restricted to Gujarat only. Maybe your party doesn’t have a government in MP but people do reside here),” tweeted Kamal Nath. Following the MP CM’s jibe, within less than an hour, PM Modi again took to Twitter and expressed grief, announcing compensation at the loss of lives due to unseasonal rains and storms in Madhya Pradesh, Rajasthan, Manipur and other parts of the country. “PM Narendra Modi has expressed grief at the loss of lives due to unseasonal rains and storms in MP, Rajasthan, Manipur & various parts of the country. The government is doing its best to provide all possible assistance to those affected. The situation is being monitored closely. An ex- gratia of Rs 2 lakh each for the next of kin of those who lost their lives due to unseasonal rain & storms in MP, Rajasthan, Manipur & various parts of the country has been approved from the PM’s National Relief Fund. Rs 50,000 each for the injured has also been approved,” tweeted the PMO. In Madhya Pradesh, a total of 11 people were killed in several districts.